Ever Heard of Pierre-Augustin Caron de Beaumarchais? Chances are you have never heard of this Frenchman who helped save the American Revolution. While we have cities, rivers, and counties named after the French Marquis de Lafayette, Beaumarchais has no such name recognition. Yet, without Beaumarchais it can be argued that the Revolution would have completely failed. Why then have few ever heard of Beaumarchais? The truth is that Beaumarchais never won glory on the battlefield, instead he fought the seemingly boring battle of convincing King Louis XVI to fund the American Revolution with guns, cannon, powder, bayonets, and all of the other supplies needed to fight a war. 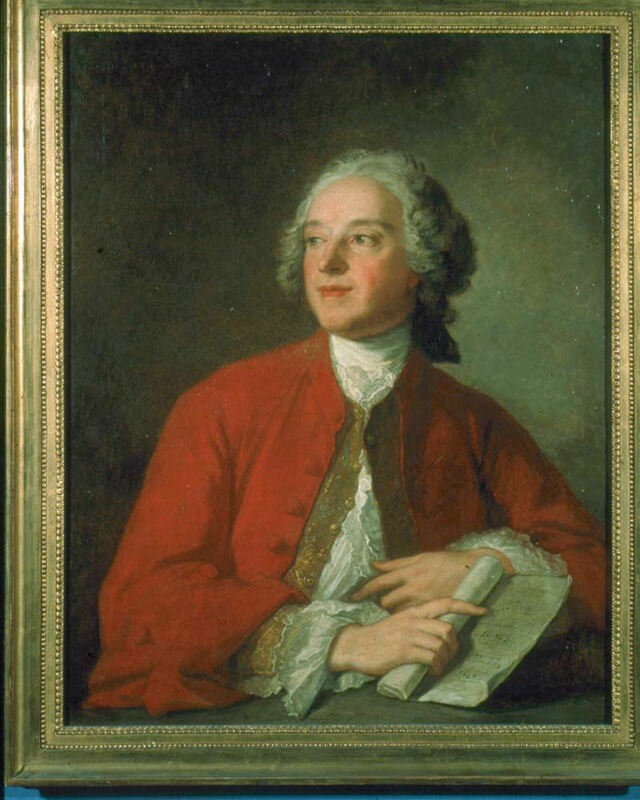 Beaumarchais did most of his work in secret disguised as a French merchant instead of an agent of the French monarchy. Thus, unfortunately history has passed over Beaumarchais as an afterthought. Pierre was born in Paris in 1732. His father was a watchmaker and so Pierre learned the skilled trade of watchmaking as a boy. As a watchmaker’s son, Pierre was a commoner, and not of noble blood. This didn’t stop Pierre of aspiring to become an influential member of French society. Pierre grew up with five sisters who all loved music. He learned to play the flute, viola, and the harp. This love of music and theater stayed with Pierre for the rest of his life. At the young age of twenty-one Pierre invented a new escapement mechanism for watches that revolutionized watchmaking. Watches could now be made much smaller and more accurate. The invention caught the eye of King Louis XV who wanted a watch made for his royal mistress Madame de Pompadour. Pierre found himself as the new royal watchmaker. In 1755 Pierre married and took the name de Beaumarchais, but less than a year into the marriage his wife died and left Beaumarchais with large debts. Beaumarchais’ good looks, pleasant voice, and quick wit won him the job of music teacher to King Louis XV’s four daughters. It was during this time in his life that Beaumarchais’ distaste for nobility grew. He was continually ridiculed by other courtiers as being a commoner who had no business in the King’s court. Beaumarchais also witnessed the unbridled excess displayed by King Louis XV who was constantly seeking new mistresses and new ways to spend the French Treasury’s money. Beaumarchais’ brilliance caught the eye of the wealthy entrepreneur, Joseph Duverney, who over the next several years served as Beaumarchais’ mentor. The two became close friends despite the fact the Beaumarchais was fifty years younger than Duverney. Duverney taught Beaumarchais the world of finance and diplomacy. In partnership, the two men became wealthy supplying the French Army with arms and supplies. While working alongside Duverney, Beaumarchais began to write plays, mainly one act comedies. Among his other talents, Beaumarchais was a skilled writer. Just when things were looking up for Beaumarchais, his mentor Duverney died. Duverney’s family laid claim to all of the business’ wealth, left Beaumarchais with nothing, and even wrongly accused Beaumarchais of owing the family estate 56,000 livres ($200,000 today). Beaumarchais fought to get back his part of his earnings but ended up in jail awaiting a trial. The noble born Comte de Blache, Duverney’s great-nephew, had Beaumarchais jailed so that Beaumarchais would not be present at the hearing concerning the Duverney estate. Beaumarchais had to pay the judge’s wife a bribe to be allowed to present his side of the story. The judge still decided against Beaumarchais, stripping him of his civil rights. Facing financial ruin, Beaumarchais sought to expose this judicial corruption and used pen to do so. Beaumarchais wrote a series of funny, sarcastic, and emotional short stories that chronicled his time in prison and plainly pointed out the power and corruption of French’s ruling class. The stories were so popular that it led to an investigation of the judge and his wife, who were forced to resign from the judgeship. Beaumarchais continued to use his writing as an outlet for his dislike of the ruling class and penned the play,The Barber of Seville. His play contained revolutionary ideas disguised in a comedic plot that poked fun at Spanish nobility. One famous line from the main character Figaro reads: “Because you are a great nobleman,” Figaro says to the Count, “you think you are a great genius. Nobility, fortune, rank, position! How proud they make a man feel! What have you done to deserve such advantages? Put yourself to the trouble of being born – nothing more!” Needless to say King Louis the XV forbid the play from opening in Paris. It was not until 1775, with King Louis XVI now on the throne that The Barber of Seville opened in Paris and became wildly popular, even among French nobility. Beaumarchais was a celebrity in Paris, and once again his genius was called upon by the French monarchy to decide what to do with the war between America and Britain. 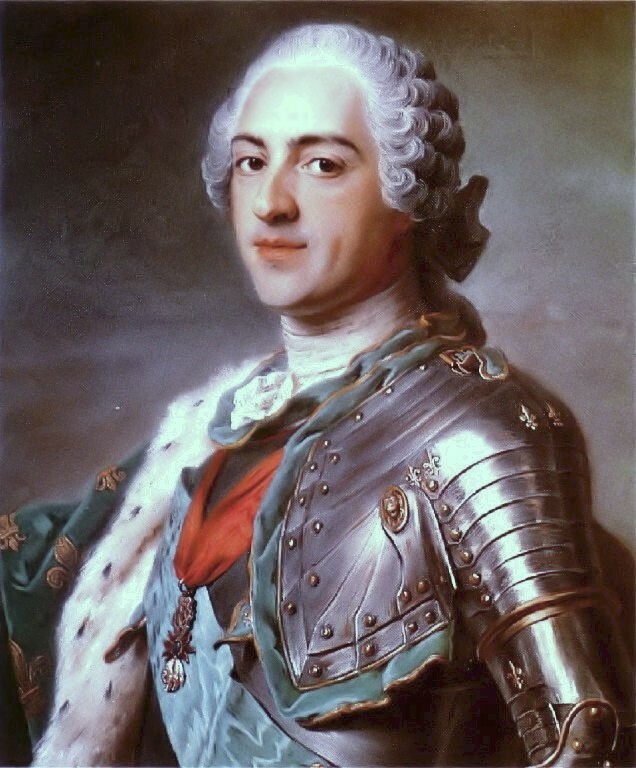 France could not become entangled in a war after King Louis XV had left the country in financial ruin. Beaumarchais, however, constructed a plot where he would open up as a trade merchant and sell military supplies to the Americans in exchange for tobacco, lumber, furs and other goods. The French treasury’s investment in the business of one million livres (about $4,000,000 today) would be kept secret, and hopefully keep Britain from declaring war against France. Although King Louis XVI was reluctant to fund a war against a fellow monarch, France’s long-time hatred of the English ultimately won the day, and the King agreed to Beaumarchais’ plot. Beaumarchais was captivated by the Americans’ fight for liberty. It was the very same revolution that he was hoping to incite in France. To him, the American Revolution was not just a fight for American independence, but a battle to end the rule of Nobles everywhere. Beaumarchais, albeit with wavering support from Louis XVI, was able to send ships laden with guns, cannon, bayonets, gun powder, and other supplies directly to America. The supplies arrived just in time to save a depleted Continental Army from disaster. The first of the supplies went to reinforce General George Washington in New Jersey and to supply the northern army in New York who was facing British General John Burgoyne near Saratoga, New York. Without these supplies and the eventual French naval and infantry support, which Beaumarchais helped gain, the American Revolution might well have ended in British victory. Sadly, the American Congress never kept up its end of the bargain with France, and specifically Beaumarchais. Beaumarchais’ ships, instead of being filled with American tobacco and lumber, were instead returned to France empty. Congress likely owed Beaumarchais 3.6 million livres (over $12 million today). It was not until long after Beaumarchais’ death that Congress offered to pay his surviving family 800,000 francs ($3 million today) in 1835 as a take it or leave it offer. Despite being cheated by Congress, Beaumarchais never lost heart in the cause of liberty. He went on to write The Marriage of Figaro. 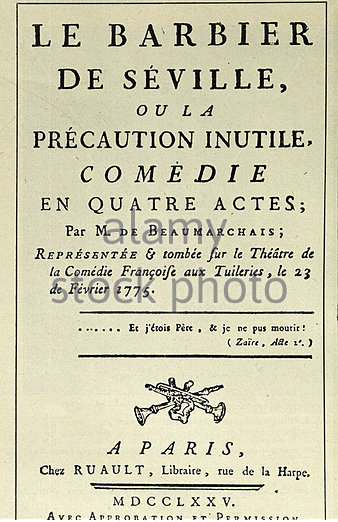 This play too was banned by King Louis XVI, but eventually opened in Paris in 1784 and became very popular. This play followed the main character Figaro and once again served up revolutionary ideas. These revolutionary ideas eventually took hold in France which led to the French Revolution. Although Beaumarchais was not of noble birth, his service to King Louis XVI was called into question by the bloody revolutionaries who guillotined thousands of innocent French citizens. Beaumarchais survived the French Revolution and died peacefully in 1799 at the age of 67. It’s not possible to provide all the details of this amazing man’s life in a blog post. Beaumarchais also served as a French spy, was involved in multiple secretive royal plots, and built a beautiful house in Paris. I encourage readers to take a look at Harlow Giles Unger’s biography of Beaumarchais entitled Improbable Patriot As proven by Beaumarchais’ life, fact is often stranger than fiction. ← How much firewood did Colonial Americans use? A Boy on a Sled Starts a Revolution?